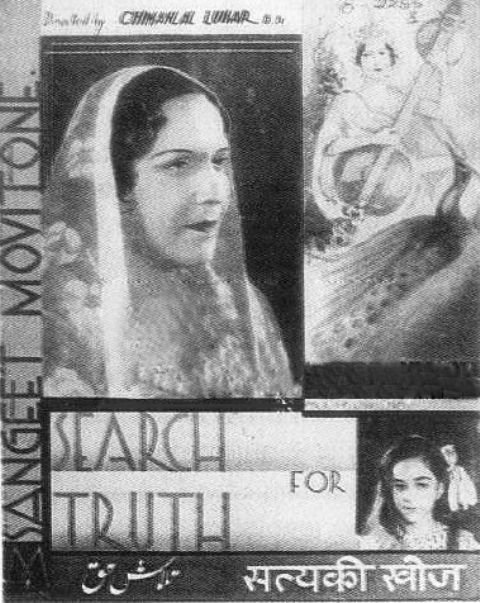 She was born as Fatima Rashid in Calcutta, Bengal (now, Kolkata, West Bengal). 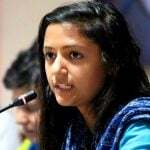 Her father, Abdul Rashid alias Mohan Babu, was a wealthy Mohyal Tyagi (a Punjabi Hindu), who had converted to Islam. He was from Rawalpindi, Punjab (now in Pakistan). 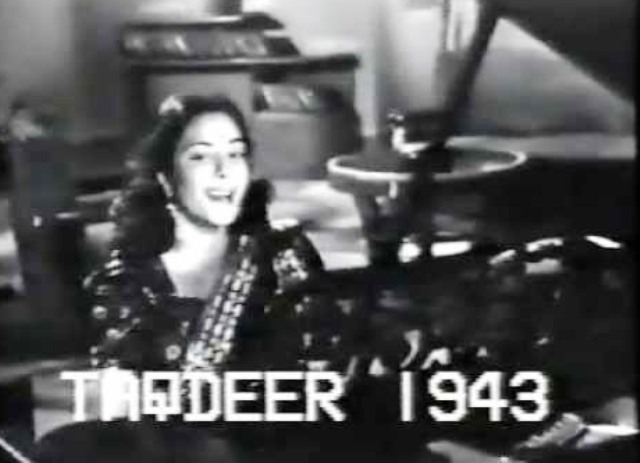 Her mother, Jaddanbai, was a trained Classical Music Singer and was considered one of the pioneers of Indian Cinema. 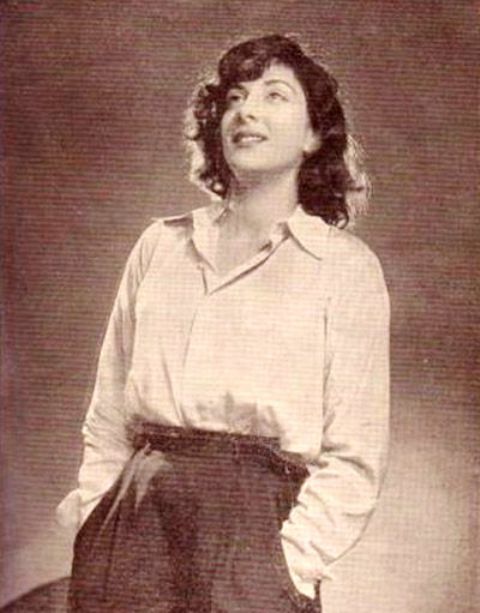 Nargis aspired to become a doctor. However, her mother encouraged her to pursue a career in acting and introduced her to the movie culture. 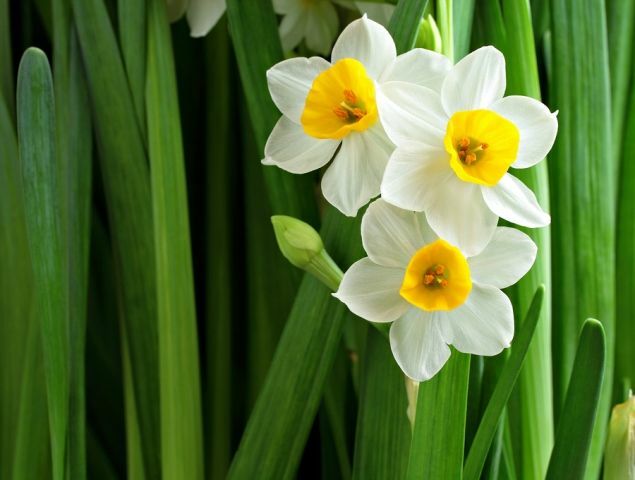 At the age of six, She made her debut as a child artist in the 1935 film Talashe Haq; in which she was credited as “Baby Nargis,” which means Narcissus (the daffodil flower) in Persian. 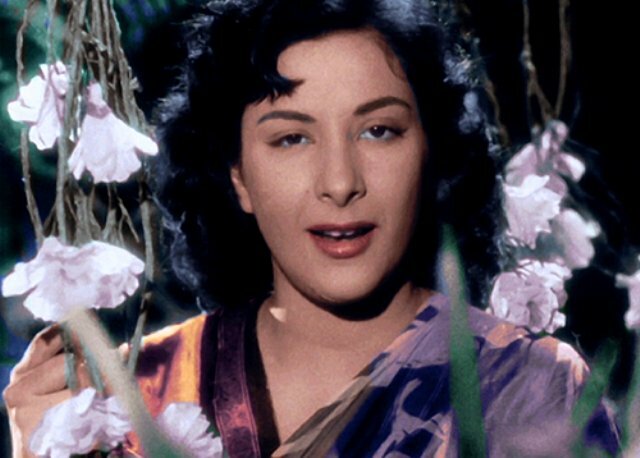 Since then she had been credited as “Nargis” in all of her films. 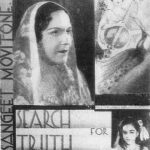 She appeared in a number of super hit films of the 1940s and 1950s such as Andaz (1949), Barsaat (149), Shree 420 (1955), etc. 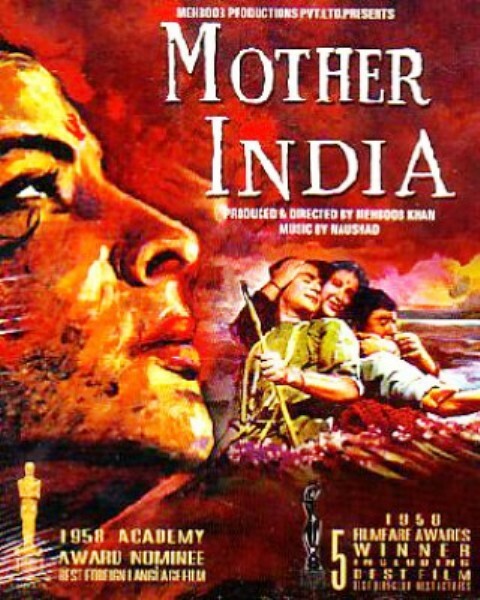 She won the Filmfare Best Actress Award for her performance in Mehboob Khan’s rural drama Mother India (1957). The film also earned the Oscar nomination. 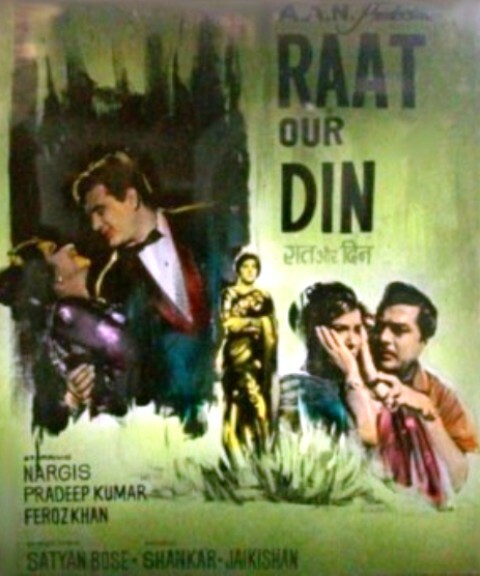 Critics described the film as “the greatest picture produced in India” and said that no other actress could have performed like Nargis did. 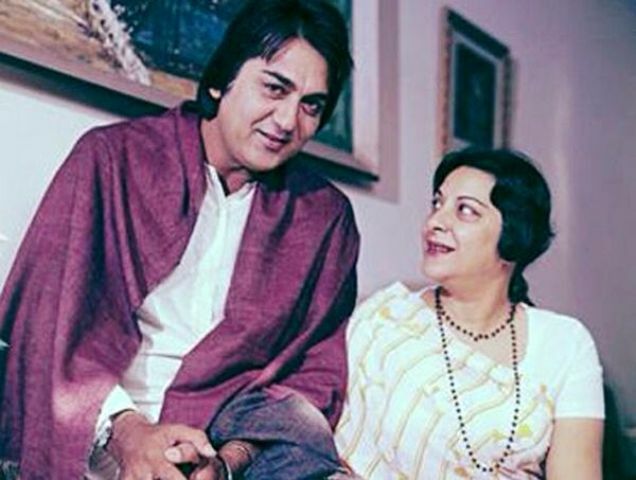 She left her acting career, after marrying Sunil Dutt in 1958. 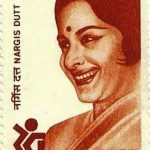 She won the National Film Award for Best Actress for her last film Raat Aur Din (1967). She became the first actress to win this award. 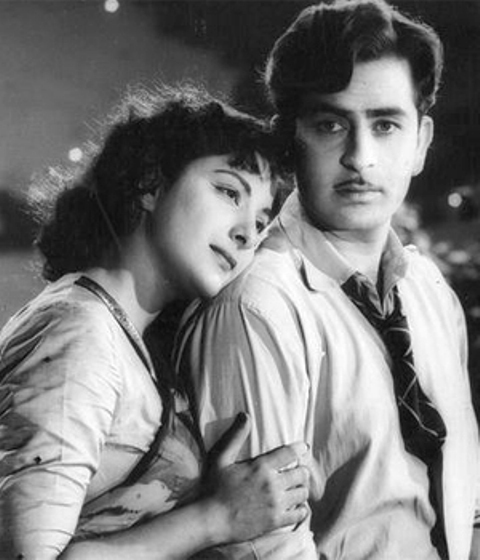 After working along with Raj Kapoor in Shree 420 (1955), she had a long relationship with him and when he refused to divorce his wife, she ended the year-long relationship with him. 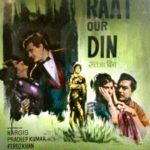 She first met Sunil Dutt at the set of Bimal Roy’s Do Bigha Zamin. 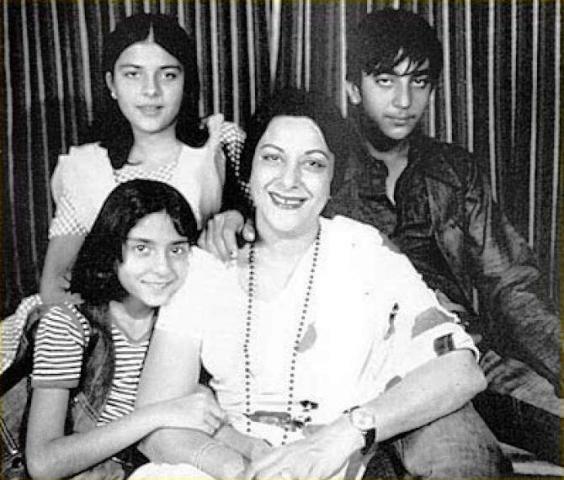 At that time, Sunil was a student and aspiring actor while she was an established star. 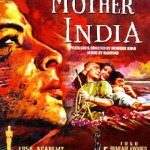 It is reported that she was offered a whopping 50000 Rs then; while Sunil Dutt received merely 10 or twelve rupees per month for his role in Mother India. 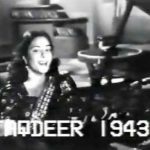 She became the first Indian Actress to receive an International Film award when she received the Best Actress Award at the Karlovy Vary Film Festival, Czechoslovakia in 1958. 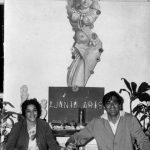 Sunil Dutt was impressed with Nargis when she helped her sister reach the hospital as Sunil wasn’t aware of any doctor or hospital in Mumbai. 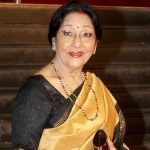 She was very passionate towards the profession of doctors and even after being a star, she used to visit the hospitals to help out the patients. 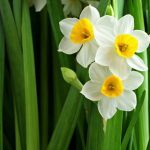 It was ironic that when she was diagnosed with cancer, the medical profession couldn’t save her. 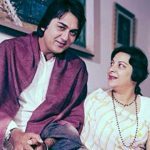 At one point, doctors advised Sunil Dutt to switch off her life support system when she was admitted at the Memorial Sloan–Kettering Cancer Center in New York, as she had been in a coma for months. 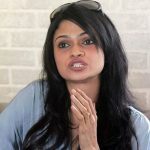 However, Sunil refused to do so and to his surprise, she came out of her coma and started recovering. 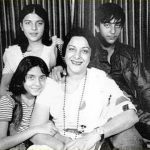 She died of Pancreatic Cancer on 3 May 1981 (just 4 days before her son Sanjay Dutt’s debut film Rocky). 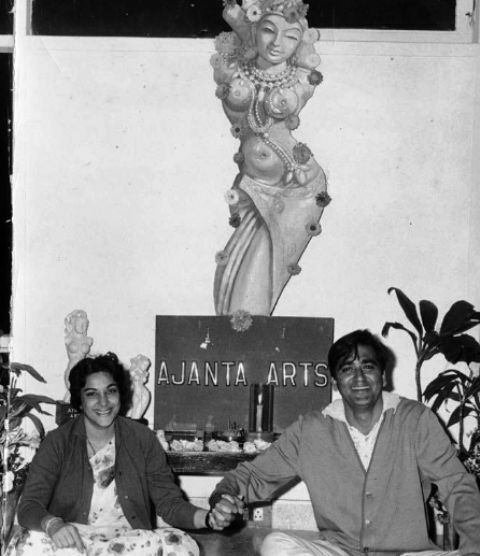 Along with her husband, Nargis founded the Ajanta Arts Cultural Troupe, which included several leading singers and actors of the time. The Troupe used to perform at remote frontiers for the entertainment of the Indian soldiers at the border. She was also after the cause of spastic children and became the first patron of The Spastics Society of India. 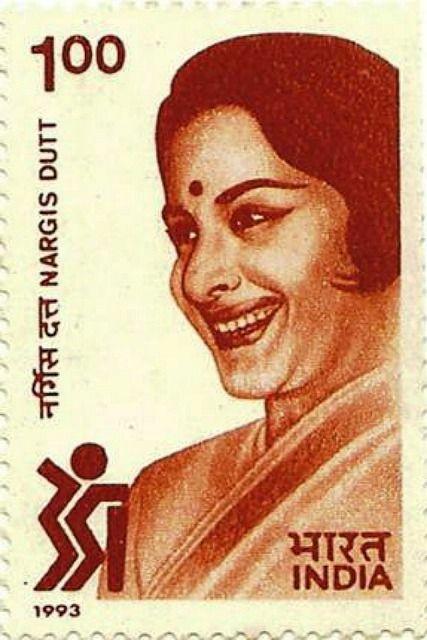 In 1993, Government of India released a postal stamp in her name. In 2001, she shared the Award of Best Artists of the Millennium along with Amitabh Bachchan by Hero Honda. 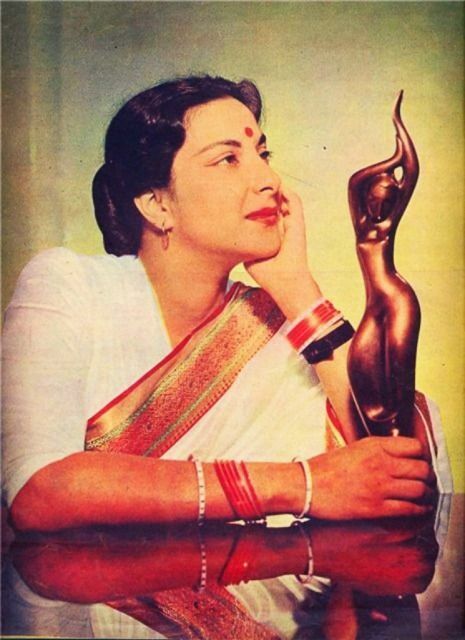 The National Film Awards instituted the “Nargis Dutt Award for Best Feature Film on National Integration” for her contribution to the Indian Cinema. She was buried at Badakabarastan in Marine Lines, Mumbai. 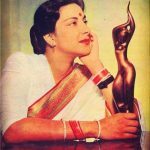 The street name was later changed to Nargis Dutt Road in her memory. Most of her films usually had a tragic end.